The holiday season is upon us! Do you decorate your library or classroom for Christmas? I decorate for every season for Christmas is my favorite. I always put up a tree and string lights around the door. (Don't tell the fire marshall!) 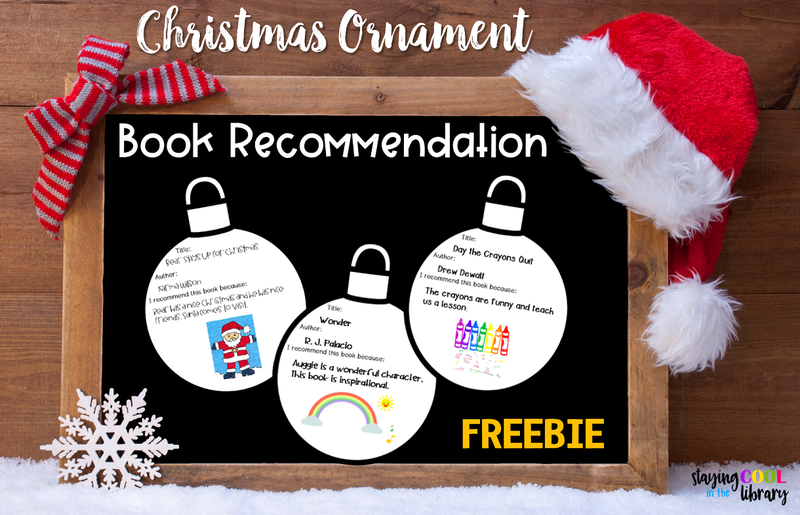 A few years ago I started having the students make ornaments to put on the tree: Christmas ornament book recommendations! This is such a fun and engaging activity. You can use it with students in any grade level, the kids love to make them and they make your library look so festive! What could be better? This is a simple activity to prepare, which is always a bonus during this hectic and chaotic time. All you need are copies of the ornament template, scissors, pencils, and crayons. If possible print them out on card stock or a thicker copy paper just so they hold up a little better. You can make them any size you want. If you are going to put them on your tree you will need yarn or string. The concept is simple: students will fill out an ornament about a book they have read or one you have read to them. They will fill in the title and author and then write what they liked about the book or why they recommend the book. There are several different templates and sizes included. There is a template for students to write their favorite part of the book or to list the reasons why they recommend the book. There is also one with space for the students to draw a picture from the book. This one works well with your younger students. It is also useful for differentiation. Once students have completed their ornaments you can use them in a variety of different ways. And once it's time for Christmas break students can take their ornaments home with them. Display a paper cutout Christmas tree on a wall in your classroom, your door or in the hallway (wherever you have room) and have students tape the ornaments to the tree. If you have a Christmas tree in your room you can put a ribbon through the top of the ornament and hang them on the tree. You can string the ornaments together and make a chain. You can make a display and pair the book and the ornament together. You can download the templates for free from my TpT store. I hope that your students enjoy making these ornaments and that it makes your prep time a little less stressful. What a fun idea! I think my students are going to love recommending books in this way! I can see decorating my shelves with these ornaments. I’ll try placing an ornament on the shelf the book is living to make it easier for kids to find the recommended book. Thanks for sharing! I love this idea! I can already see the Christmas tree in my media center decorated with these cute book recommendation ornaments! Thanks for the idea! I am getting so many neat ideas from this blog hop. Thank you for sharing! Thanks for doing this! Awesome! This will make a fun display! Thanks! My students will love doing this activity! SUCH a cute idea! Thank you for sharing this idea! I really like this! Will definitely use this for a display! I really like this idea. I already have a tree I can hang them on. Perfect! Love it! Thank you! Thanks so much for the simple ornament idea. Love this blog hop! You librarians come up with fabulous ideas. I downloaded this wonderful freebie and left feedback at your store. Thanks! Can’t wait to use these for Christmas. Thanks! These look great! I can't wait to use some of them in my library this year. 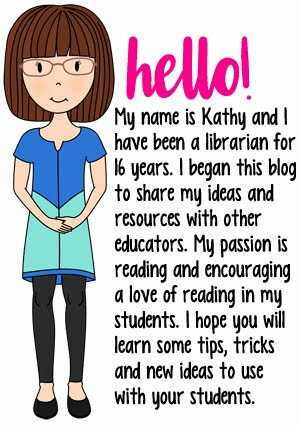 So helpful for a first-year library teacher. Thank you! This look awesome! We are always looking for ways for the kids to recommend books to each other. Thank you! Always great to have new ideas for book shares. Such an awesome idea! Thank you! As a reading specialist, I love this idea! Thank you!